Have you begun turning your home into a "smart home" yet? I have the pleasure of living with someone who is very invested in the world of smart home products, and he's always looking to try something new to make us lazier and lazier. Newsflash: it's working. We no longer get up to turn off the lights, we don't pull our phones out to play music and we don't even reach for the remote to turn the TV off. 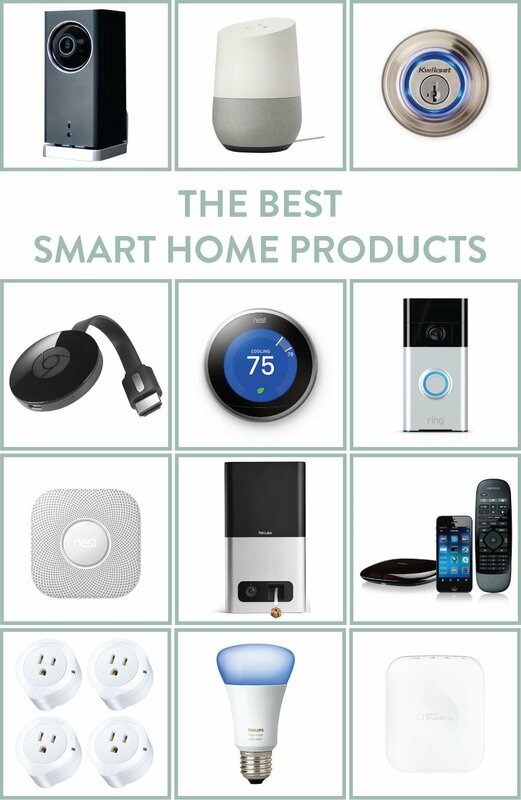 Whether you're striving to enjoy your laziness or simply want to embrace the technology available to make your house an ecosystem of connected device, this list of the best smart home products is perfect for you. Don't worry, it's not actually like that Disney movie Smart House that made me terrified my house was going to turn on me...at least not yet. When adding more products to your home's ecosystem, just make sure to use all of your privacy settings, and hopefully you won't have to worry about your technology turning on you, ha! Heads up: this is not a post about how our family doesn't watch TV. We are a busy family, like any other, but we do love to watch our favorite shows and sports. Instead, I want to share how our family manages to enjoy television with out spending a ton of money on cable TV service each month. We decided to cut the cord nine years ago, and haven't looked back. We've had to adapt our methods as networks and subscriptions have changed, but I don't think we missed anything we have really wanted to watch. Here is how we do it today. 80 How-To Sites Worth Bookmarking. The internet has been so integral to the DIY and handmade revolution, its no surprise to find an enourmous collection of how-to websites from around the world. Lifehack.org has assembled a solid eighty, in areas like home decor, crafts, dining, business, and personal finance. Though, there's no Curbly. Write in and make it eighty-one!!!! Also, check out this collection of fifteen from DumbLittleMan. How To Boost Your WiFi With a Soda Can. Extend the range of your wireless router for free with this handy video.